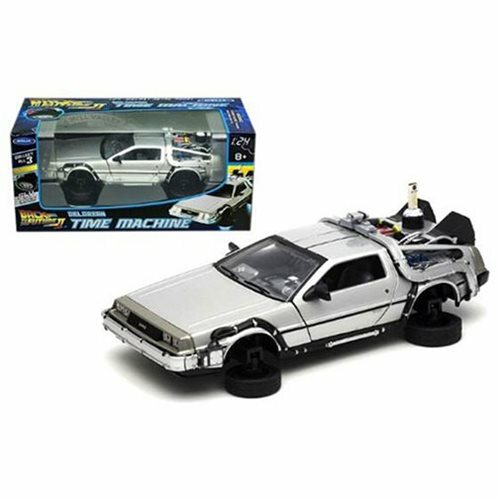 Shopping for Back to the Future Vehicles: Die-Cast Metal? From Back to the Future II comes the Time Machine in Hover Mode. The Back to the Future II Time Machine Hover Mode 1:24 Scale Vehicle measures 9-inches long x 4-inches tall x 4-inches wide and comes packaged in a window box. Ages 8 and up.